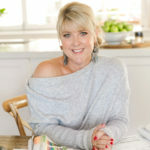 Naomi sat down with Jen Bishop, from Australia's leading interiors blog Interiors Addict, to find out the hottest trends in kitchens this year! Getting your kids, partner and even yourself organised during a kitchen renovation is no mean feat. Lucky for us, organisation guru Marissa revealed the best ways to keep your home in order during this time.